Women’s International Shipping and Trading Association (WISTA) is proud to announce the re-launch of WISTA Japan. “We are delighted to welcome Japan back to our WISTA family. Japan plays an important role in the maritime industry, being the second ship owing nation in the world and we are positive that WISTA Japan will contribute greatly to the aims and mission of WISTA International,” said Despina Panayiotou Theodosiou, president of WISTA International. “I am very gland to re-launch WISTA Japan and to be registered as the official member of WISTA International. In the shipping industry in Japan, it is both socially and politically meaningful to create a women’s association. We are looking forward to growing with WISTA International,” said Shoko Kamimori, president of WISTA Japan. 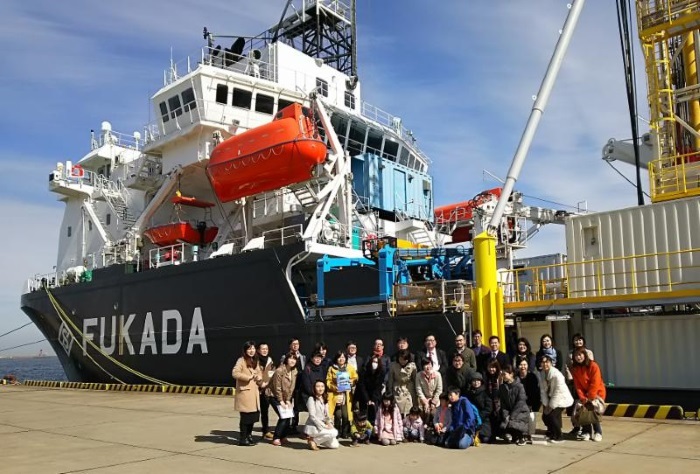 WISTA Japan was re-founded by: Shoko Kamimori, Fukada Salvage & Marine Works Co., Ltd., President WISTA Japan; Yoriko Ishida, National Institute of Technology, Oshima College; Akiko Matsumoto, Tokyo Century Corporation; Reiko Yoshida, Atsumi & Sakai; Atsuko Kissho, Atsumi & Sakai; Aya Osawa, The Japan Ship Owners Protection & Indemnity Association; Maki Yoshida, Star Marine Public Relations Corporation; Masayo Wakamori, Lloyd’s Register of Shipping; Yuka Narita, Atsumi & Sakai; Yukako Mori, Atsumi & Sakai; Yukari Aoto, Sonpo Japan Nipponkoa Insurance Inc..
WISTA International is comprised of 40 National WISTA (NWA) around the world and nearly 3,000 members. To launch a national WISTA association, the association must file appropriate paperwork in the home country, have at least 10 members in management positions and pay annual fees to WISTA International. WISTA International and its NWAs facilitate the exchange of contacts, information and experiences among its members, promote and facilitate the education of its members and provide liaison with other related institutions and organizations worldwide. Cubic is pleased to support WISTA in New Zealand. The following is a notification from WISTA about their new mentoring programme. WISTA stands for Women’s International Shipping and Trading Association. WISTA New Zealand has over 80 members including 9 corporate members. It is part of the international WISTA network which has branches in 40 countries. WISTA New Zealand is an inclusive organisation which hosts bi-monthly events for its members and other attendees. On 1 November 2017, it will be launching its Mentoring programme. WISTA New Zealand thanks Cubic for its support which has enabled it to put this programme together. For more information visit http://wista.net/nz/site/activities, or contact president.wista@lojo.co.nz. Women’s International Shipping and Trading Association (WISTA) elected Despina Panayiotou Theodosiou, CEO of TOTOTHEO Maritime, as International President and Diane Edwards, General Manager People, Systems and Technology Ports of Auckland as International Secretary at their 37th International Annual General Meeting in Rotterdam, The Netherlands on October 4, 2017. Despina Panayiotou Theodosiou is the CEO of TOTOTHEO Maritime, a leading maritime technology and satellite communications enablement business. She has served on the Executive Committee of WISTA International as Secretary for the last two years and is the founding President of WISTA Cyprus. Panayiotou Theodosiou is on the board of the Cyprus Shipping Chamber. She is taking over the position from Karin Orsel, CEO of MF Shipping Group, who has held this role for the last six years. “It is an honour to take over the role of President of WISTA, supporting and serving an association whose potential I believe in and support. WISTA has an important role in the shipping industry and it is one we should embrace, remaining true to the values and identity that make us what we are. I take over this role from Karin Orsel who has achieved much in her tenure, both in growing our association and giving it a stronger sense of value” said Panayiotou Theodosiou. Diane Edwards is the General Manager People, Systems and Technology at the Ports of Auckland Limited. Working with the port since 2011 following a consultancy roll at the New Zealand Ministry of Transport and roles with P&O Nedlloyd and Maersk New Zealand, Diane has had an eclectic career which includes teaching, banking, accounting, IT, training change management and human resources. In her six years with Ports of Auckland Limited she has helped revitalize the port through technological innovation and coalition building with the port workers. WISTA International is the leading network of decision making women in shipping and trading around the world. 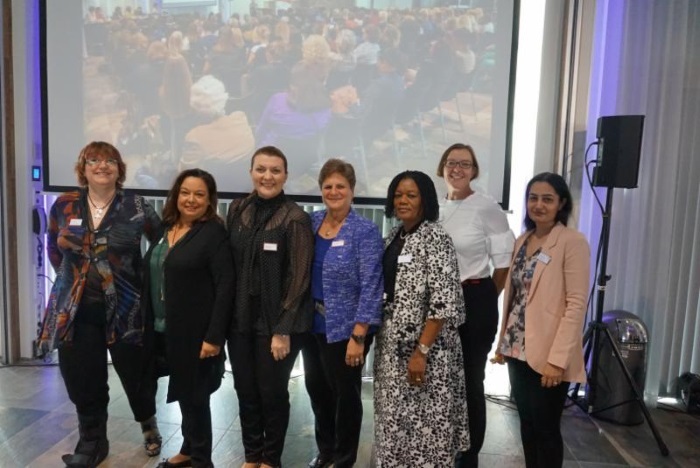 WISTA International is guided by the Executive Committee: Despina Panayiotou Theodosiou, President, WISTA Cyprus; Diane Edwards, Secretary, WISTA New Zealand; Rachel Lawton, Treasurer, WISTA UK; Jeannie Grasso, Member, WISTA USA; Sangam Gupta, Member, WISTA India;Katerina Stathopoulou, Member, WISTA Hellas; Naa Densua Aryeetey, Member, WISTA Ghana. Representing nearly 3,000 members in 40 countries around the world, WISTA promotes increased competency, knowledge and development for women in the maritime industry. WISTA International members work in all sectors of the maritime industry, including finance, ship building, seafarers, governing and regulatory bodies, brokers and more. The International body meets annually to vote on protocols, guidelines and strategic direction. 32 Countries were represented at the 2017 International Annual Meeting. More than 280 individuals attended the parallel conference on Future-Proof Maritime Solutions.